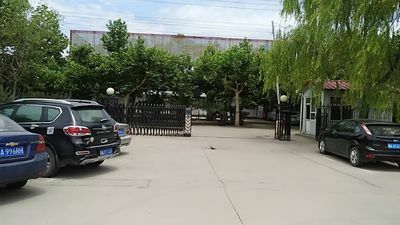 Center Enamel Co., Ltd was established in 1989, now it has already become the most professional glass fused to steel / GFS tanks manufactory in China. With the company's fast-growing these years and as the global glass fused to steel tank supplier, CEC tanks has been exporting to USA, Australia, Ecuador, Singapore, Malaysia and many other countries. 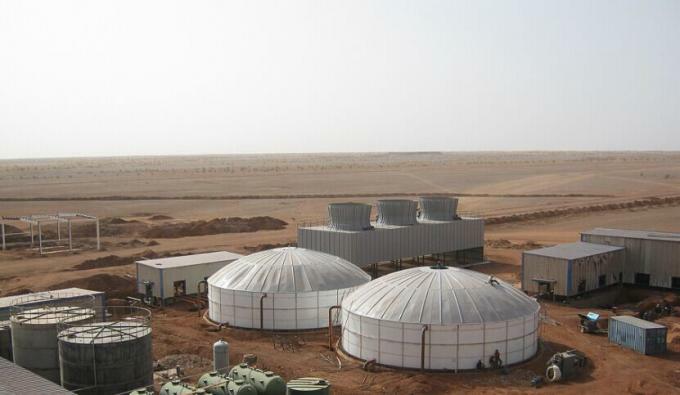 Glass fused to steel ( GFS ) tanks /glass lined to steel ( GLS ) tanks / Enamel tanks are commonly used for potable water storage, wastewater treatment, farm bio-energy, agriculture dry bulk storage and many other application areas. 2. At least 30 years’ product service life. 3. Very easy and quick for installation. 4. Tank volume can be expanded and removable. 5. Very low maintenance cost after installation. After decades’ development with enamel products' fabrication, CEC tanks already become enameling expert in this field, we have professional laboratory and R&D dep., furthermore, we have the “ know - how ” of enamel technology and own more than 200 national patents for enamel frit formulas. Because the raw material “ enamel frits “ are also developed and produced by ourselves, CEC tanks can much better control the product's quality and cost. Based in China, equipped with most advanced production lines, designed according to AWWA D103-09 / ISO 28765, apply international QC standards, CEC tanks can provide superior tank solution with a most economic cost, maximize customers' cost performance. With rapid development, these years CEC tanks mission is to be the leader of glass fused to steel tank industry and enable more customers to have the opportunity to choose better GFS tanks with more reasonable cost. 1989, Feb. : Center Enamel Co., Ltd was established. 1993, Feb. : R&D department was found, especially for new enamel formula’s development. 1994, Aug. : got the first national patent for enamel frit patent. 1995, Mar. : formally established cooperation with China enamel research institute. 1998, Dec.: Center Enamel Co., ltd total annual turnover reach 16 million dollars. 2004, Mar. 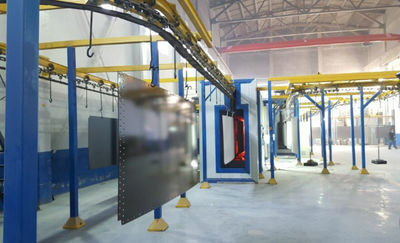 : Center Enamel Co., Ltd launched glass fused to steel tank production line. 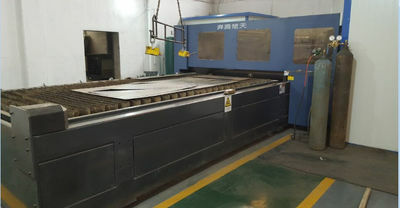 2006, Feb. : after 2 years’ efforts and researching with Angang Group, successfully worked out the special steel which is specially developed for enameling, greatly solve the fish scale problems which commonly happen with the common steel. 2006, Feb. : GFS tanks exporting business grow rapidly, products exported to Malaysia, Indonesia, Cambodia, Kazakhstan and Niger etc. 2008, Jul. : Beijing Olympic Games wastewater treatment project, glass fused to steel tank provider. 2015, Jun. : GFS tanks successfully exported to USA and Australia markets. We offer a range of services and get your project done smoothly . If you have any issues or questions about our tanks , please contact us and we'll happily guide you through any questions that you might have. Based on CEC tanks research and develop ability, CEC tanks can develop new enamel formula according to customers’ special requests, e.g. tank color or anti-corrosion ability, until now, CEC tanks already have more than 200 national patents for enamel formula. 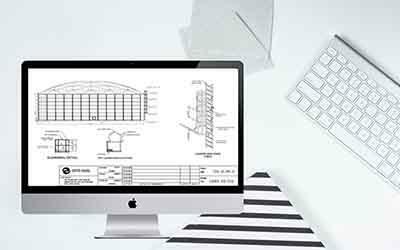 1.CEC tanks professional design team will provide prompt design service upon receiving the inquiry, design standard conform to AWWA D103-09, and OSHA international enamel bolted tank design standards. 2. 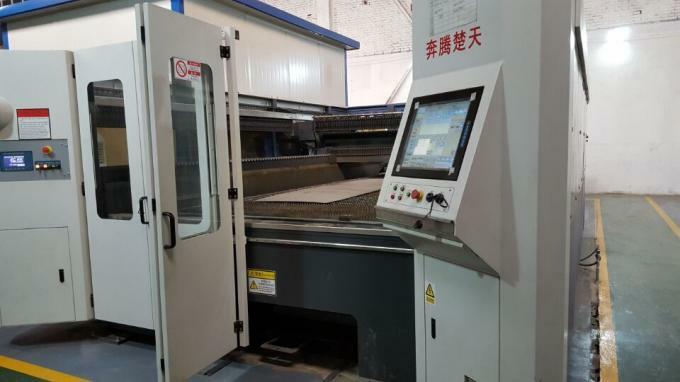 With advanced CNC laser cutting machine and automatic enamel spraying production line, our production ability can reach 160 sheets / day, and make sure each sheet has superior fabrication precision and stable coating performance. 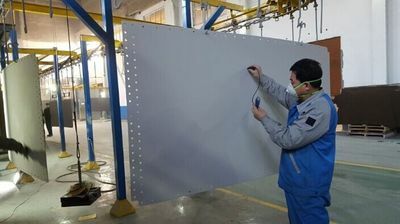 To make sure the product quality can meet with international standards, we will take the inspection after each fabrication step, such as 1500V holiday test, coating thickness test, coating adhesion test and so on. 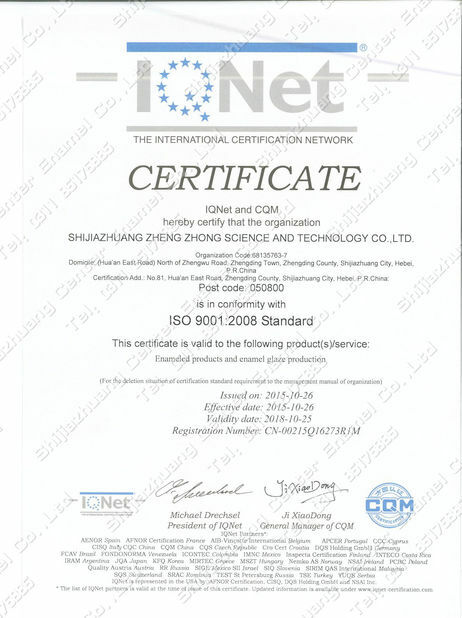 With professional QC team’s strict inspection, our enamel sheet quality is already widely approved by customers and already exported to more than 30 countries and areas. 1. Professional export package for ocean shipment : all enamel sheets are protected by PE foam, then packaged with wood box or wood pallet. 2. Transportation service: In able to provide best service, CEC tanks can help with the ocean shipping arrangement once the cargos are ready. There are 2 options to choose for overseas installation supports: 1. We provide installation tools and send 1 - 2 installation consults to the project spot to help with installation. 2. 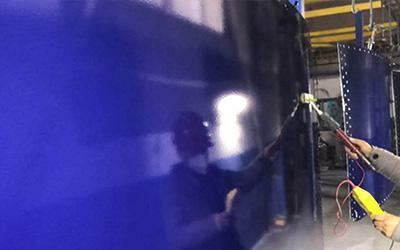 We provide installation tools and send installation team to the project spot, in charge of the tanks' installation work. GFS tanks can provide 30 years’ service life almost without any maintenance in daily operation. Furthermore, CEC tanks promise 5 years quality warranty for all the tanks once finish the installation. This is our commitment to all customers. All CEC tanks people work like a big family, it’s our pleasure to provide our best products and service to customers all over the world. This is a young group full of passion and dream, they are keen to study and willing to provide our best service for overseas clients at anytime. With professional enamel frit research team and advanced laboratory equipments, CEC tanks can develop new formulas which meet with customized requests for all the different projects. Experienced GFS tank design team, can provide professional tank design solution according to different project’s requirement. 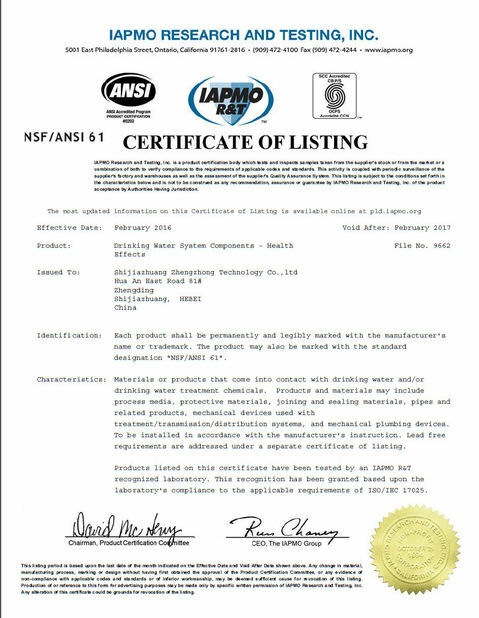 Tank design comply to international standards such as AWWA D103-09, OSHA, ISO28765, and AUS1657 etc. Product quality is the foundation of company’s long-term development, with professional production team and advanced production line, CEC tanks offer high quality tanks under most favorable cost. 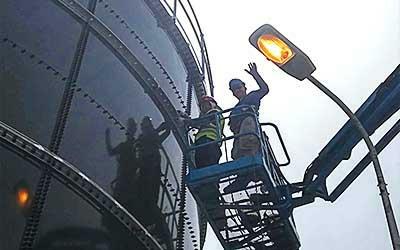 Experienced installation team already installed glass fused to steel tanks in more than 30 countries.